The exquisite elegance of Jade attains a new level of decorative beauty with the addition of rare enameling techniques. On the dial of the three new Jade “Grand Feu” editions and two new Jade “Cloisonné” editions, enamel works its seductive magic. 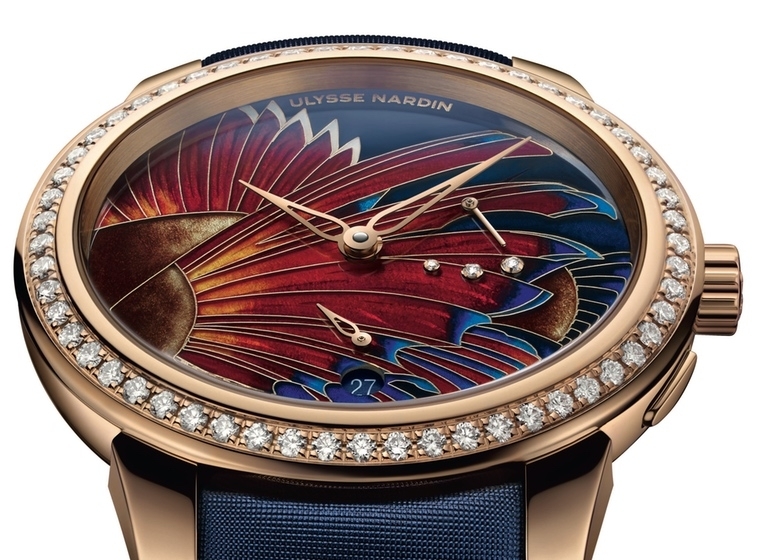 Complex and difficult to achieve, the decorative art of “Grand Feu” enamel is seen on only a handful of timepieces by the world’s most prestigious watchmakers. Here on the Jade “Grand Feu”, the gorgeously rich enamel of stunning turquoise meets the swirl of diamonds across the face and on the stainless steel bezel. The stylized indexes are easy to read, revealing Jade’s practical nature. A small date window is surrounded by the sinuous curve of diamonds on the continuous seconds feature, while three diamond drops are part of the crown position indicator.